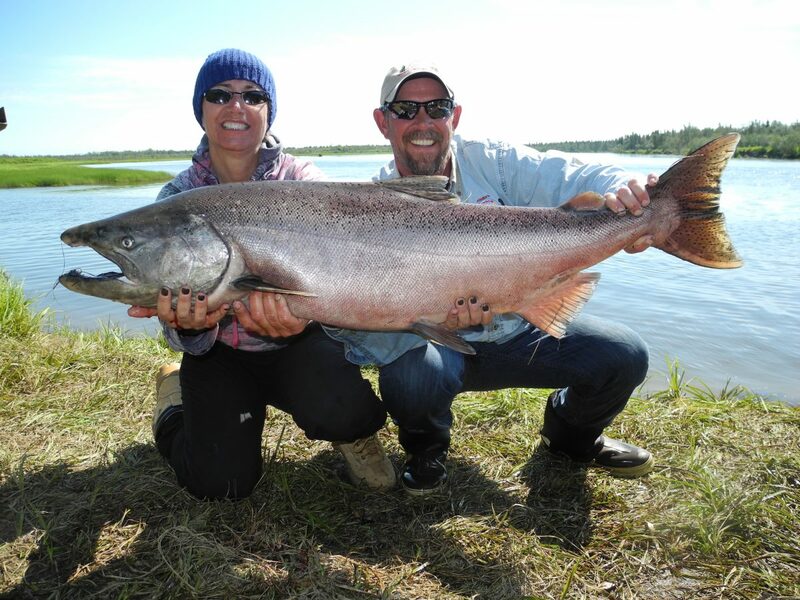 Alaska Elite Outfitters (A.E.O) provides you the fantastic opportunity to fish on the famous Nushagak River for the most massive Alaska King (Chinook) Salmon run in the world. A known fact, the Nushagak River is home to the best; also the biggest King Salmon run in Alaska with over 100,000 King Salmon returning annually to spawn. Furthermore, during June and July, it is not uncommon to catch 20 – 40 King Salmon per day, during the peak weeks of the run. Landing these aggressive King Salmon is not only exciting but guaranteed to wear out your arm! Alaska King Salmon are voracious feeders strike a variety of lure presentations. We effectively utilize spin-n-glows with cured eggs, and large lures tipped with herring. Not only do we drift and troll thru the King holes but also anchor up and use crankbaits. You can expect to use eight to nine-foot medium heavy rods and reels with 20 to 80-pound power pro fishing line. 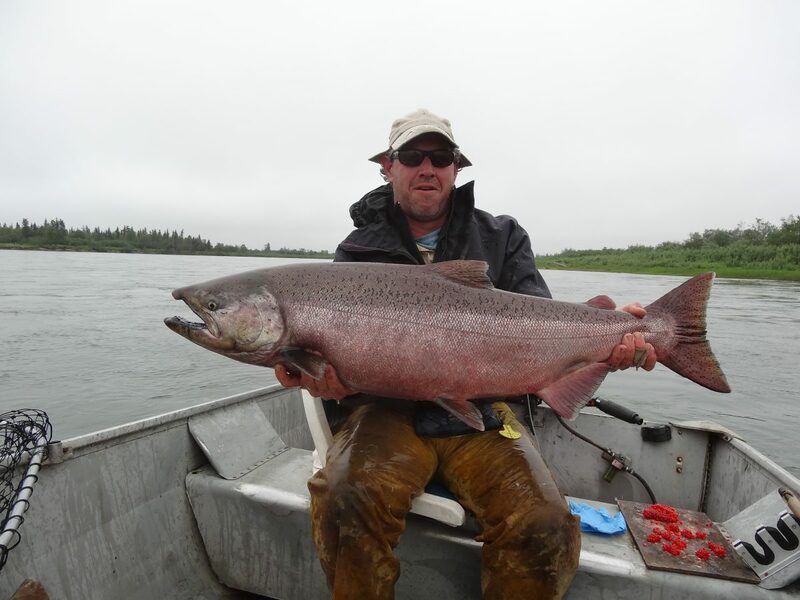 Fly fishing King Salmon on the Nushagak River is a fantastic challenge. King Salmon generally run the deeper channels as well as hole up to rest. So Fly rods (9-11 weight) with fast sinking line and weighted flies are recommended to get down deep enough to fish them. South Western Alaska and the Bristol Bay area has the largest populations of King Salmon, Rainbow Trout, Graying and Dolly Varden in Alaska and possibly the world according to Alaska Department of Fish & Game (ADFG). King salmon fisherman have a two fish per day limit with 4 in their possession on the Nushagak river system. With 4 Kings filleted and frozen you can take home a 50 lb. Box of vacuum-packed fillets and at $20 per pound in your local grocery store that is $1000.00 value. King Salmon is both delicious and nutritious, as well as a very healthy table fare!